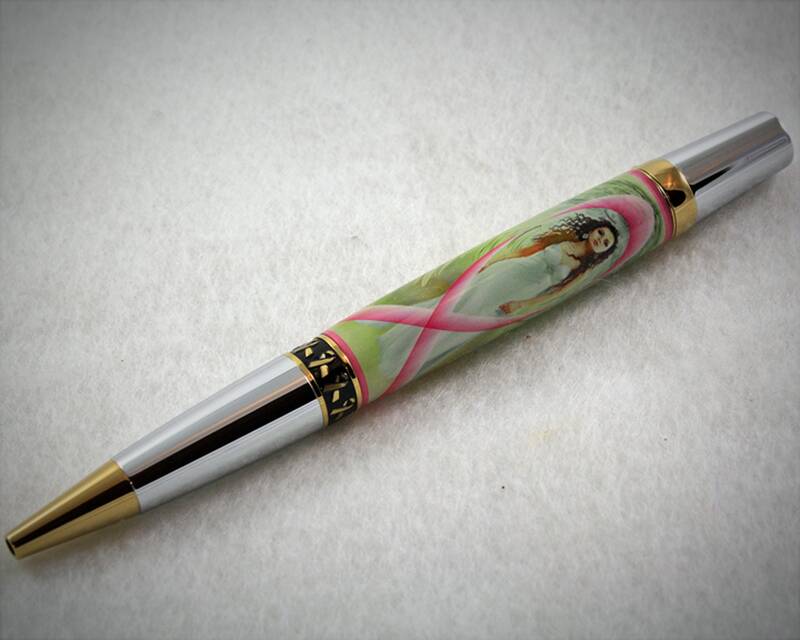 This beautiful Breast Cancer Awareness pen is plated with durable Chrome and Titanium Gold. The center band is ringed with gold awareness ribbons on a black background. The pen features an angel with her wings spread wide, circled by a pink awareness ribbon.